Your daughter's First Holy Communion Day is a special family occasion that calls for the perfect dress. We know how important it is that she look lovely and elegant, but not too grown up. There's plenty of time for bridal attire later on. You'll be delighted to finally find timeless styles that you and your daughter can agree on! 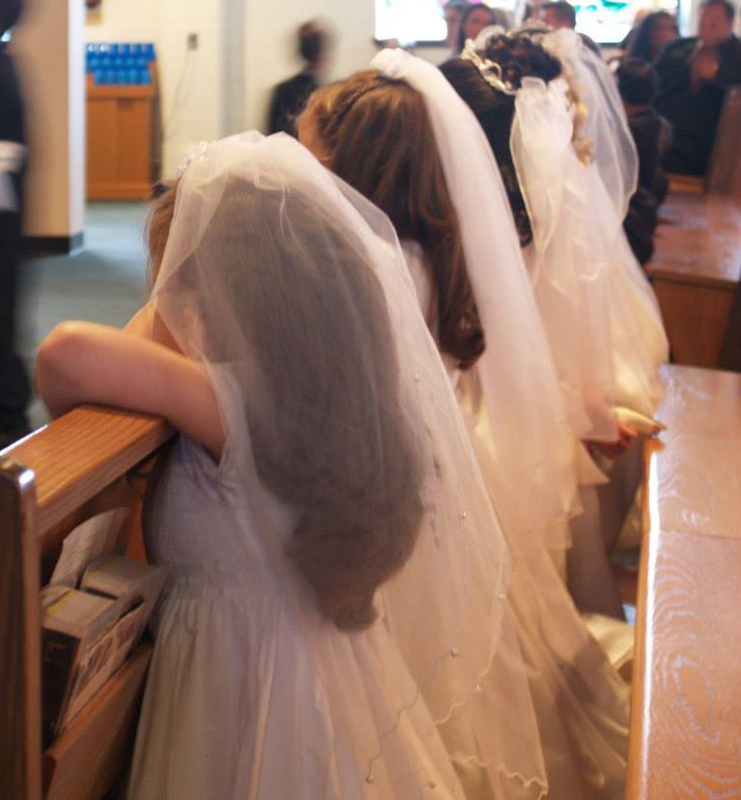 Grammie's Attic has assembled the largest collection of beautiful, classic style First Communion dresses in comfortable cottons, cotton blends, silks, and linens with exquisite details like smocking, pintucks, and embroidery. You'll love the selection and range of sizes available for you to order now. There's no waiting for special orders or for a dress to be custom made -- our inventory is on hand and ready to ship immediately. We've added sweet veils, headbands, hair bows,and pearl jewelry to our collection to finish the look.